Happy Bank Holiday Monday to those of you in recognising countries! Just stopping by with another Monday Musing to wish you all the most wonderful of days and a fantastic week ahead. He is completely epic. So glad you feel the appreciation too! Love the sandman…. I expect you are probably reading the wordy version but the graphic novel is the best graphic novel ever!! Actually, my familiarity is from the graphic novel too! 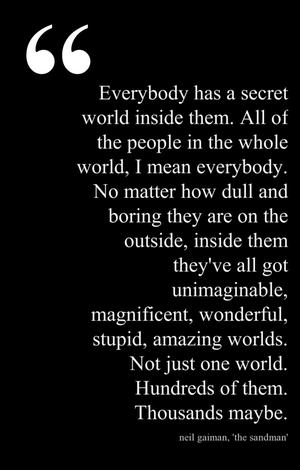 Although my favourites of Gaiman's work are definitely his written novels. Love him.